The 200W Orange Amplifiers AD200B Tube Bass Amp Head is one of the purest bass amplifiers ever produced. No bells and whistles, just the shortest signal path which gives the best results. The AD200B amp has become a favorite of bass players. Its outstanding bass tone puts the Orange AD200B above many bass amps in this price range. The Orange AD200B produces the purest sounds throughout the bass spectrum. Offering 200W bass power, the AD200B bass head is great for small and medium-sized venues. 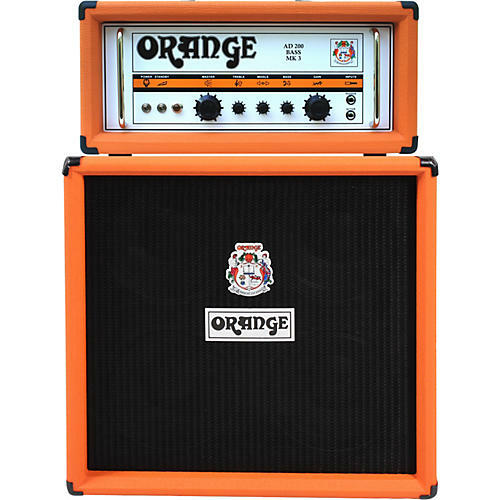 Expect your Orange AD200B bass amp to shake the butts of anyone in earshot.